Walking down the toothpaste aisle at our grocery store as a child, I saw a kind of toothpaste unlike the ordinary blue kind I was used to. It was a pink toothpaste and it had my favorite characters on it. My mom warned me I might not like the flavor of the toothpaste. I was sure I would. She warned me I might not. But with my favorite characters on it, how could it possibly taste bad? I was sure that I would want to use every last bit of the toothpaste. However . . I tried it once . . and found out that, just because your favorite characters are on something doesn’t mean it will taste good. My mom and dad ended up using up the pink toothpaste. It’s a little story of grace. My parents used up what I had asked for, pleaded for, and found out I despised. It reminds me of the ultimate story of grace, when Christ took in all the sin that we had asked for, pleaded for, and discovered we despised. Even though none of it belonged to Him, even though He had every right to demand that we carry it ourselves, He bore our sin for us . . all the way to the cross. When I was a teenager, I got my first paying job at a fast food restaurant. My mom helped me open a checking account. I felt like big stuff having a checking account. 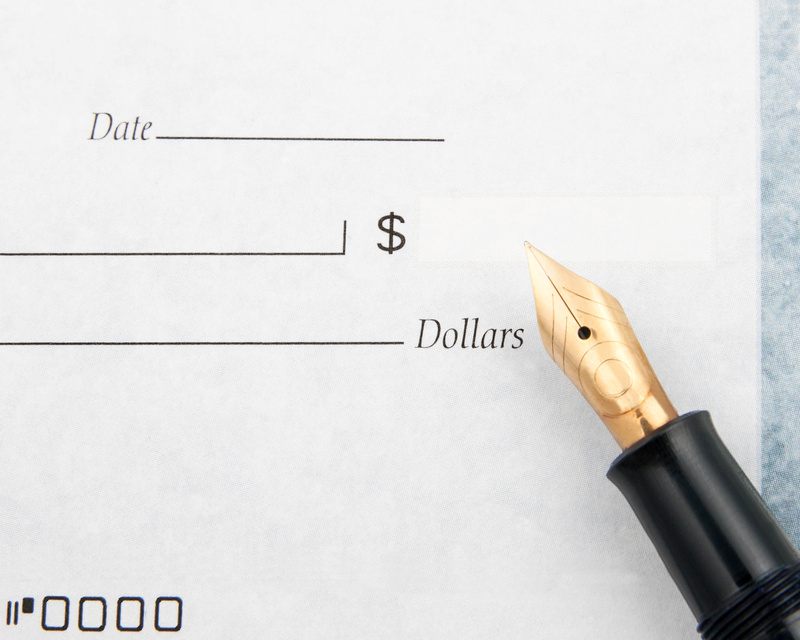 I loved that I had the power to write checks. I loved that power too much. My mom carefully taught me how to balance my checkbook. For a short time, I kept up with it. After that, I sort of estimated. Or just believed the money would be there. My mom insisted I balance the checkbook one night, and I realized something very important. The check I’d written that day was going to bounce. It wasn’t even a check for stuff I needed, but just stuff I’d wanted to have. I felt embarrassed about it, and I tried to brush it off as no big deal. But Mom wouldn’t have it. Mom told me the store could put my name on display at the registers for the clerks to look at, to make sure not to accept anymore checks from me. And, to top it off, the bank doesn’t look keenly on bounced checks and charges an overdraft fee—and I didn’t even have any money in savings for the bank to draw from. After I realized more of the gravity of the situation, Mom told me she would pay the debt—I think the check was for something like $200 and much of the money I didn’t have. I didn’t realize it at the time nearly so much as I see it now, but my mother was presenting a clear picture of the Gospel for me that day. First, God gives us the freedom to choose how we will spend our lives. But in Adam, we all chose to turn away from God and now we have a sin nature that makes right choices impossible apart from Christ. Second, we all get in debt to sin. And not sinning for things we need—just things we want. We have no excuse for the sin we get ourselves into. We’re careless about getting ourselves into sin. We don’t realize the full consequences. Third, we defend ourselves when confronted with sin. We try to brush it off or justify it as if it’s no big deal—or we regress into self-pity and remorse. Fourth, God convicts us of our sin. We see that we have no excuse and that we have no way out on our own. This miracle is made possible by grace. God takes our debt—sure to bounce back to us on Judgment Day—and pays it all off. He takes on our poverty, and we inherit His righteousness. This is the power of the cross. One year for my birthday, Mom took me to see the Chinese Acrobats in Branson. What these athletes do is truly extraordinary. They are moving pieces of art. Their balance, strength, and ability to conform their bodies showcase the years of training and ongoing practice needed to do the impossible. The Chinese Acrobats remind me of our training as followers of Christ. Sometimes we feel like God is being too hard on us, or allowing too many challenges to come our way. We don’t realize that He is training us for our spectacular debut as His new creation. Every struggle, every time of testing is the exact practice needed to enable us to do the impossible. As we are made more and more into the image of Christ, our old habits and hangups grow weary of the training and slip off like old skin, and our new nature is showcased for the world to see. I delight in You, and the adventure ahead . . but only because You’re in it. A few weeks ago I was filling out a form that asked my status: single, married, divorced. I checked single. Then I caught myself and scribbled it out. Today, I was thinking about Ben and I spending more time with other singles like us and I realized again. I’m still in limbo between calling myself my old last name and my new one. Because I haven’t gotten everything transferred over to my new name, I still get people calling asking for me by my old last name. And, most of the time, I forget to wear my wedding rings. This time of learning to be married but still sometimes thinking like a single reminds me of how, as believers, we sometimes act like beggars and orphans, even though we are really royal children of God. This new identity can be difficult to live out simply because we are so used to being who we were before. This is all the more reason to be gracious towards our family of believers, especially new believers. We are all learning what it means to be a new person, and we are all growing into our identity as children of God. We should be gentle and encouraging when we remind our family in Christ who they are in Him. I was about 10 or 11 the summer I begged my mom to buy me a Super Nintendo. At that time, I believe the package deal came with Super Mario World. Super Mario World. I had one goal that summer: get that Super Nintendo Entertainment System. The problem was, I didn’t have the money. Or close to the money. Or close to close to the money. Mom cut me a deal. She told me that she wanted me to practice math over the summer, and that if I did so many lessons in the math book, she would buy me that Super Nintendo. I can’t remember how many lessons it was now, but it was a lot–either 50 and 100. There was no reason I wanted to solve math problems over the summer, except one: to get that Super Nintendo. I worked and worked on the math lessons. I dreaded them, but I also looked forward to them so I could get them done. Mom checked them for accuracy. At last & finally, I completed the last dutiful problem and I turned my work in to Mom. I got my Super Nintendo. You know, I was thinking about this story this morning and how, for many of us, we still see grace a lot like how I saw that Super Nintendo System. We know we can’t earn grace by paying for it. We know we don’t have the “money”. But we still try to pay for it with “math lessons”. So many of us go to God with our “good works” and, almost under the table, we show Him what we’ve been doing like, God, I know you say grace is a free gift . . but look at this, would you? This is good work 32 for the week. We try to buy insurance, if you will, in good works. We try to convince God that, should He change His mind about His free gift, we have enough wonderful deeds saved up to sway His vote back towards us. How this must grieve the heart of God. First, when we try to do good works for our glory–which is really what we’re doing when we ‘save them up to our account’–we fail to present a picture of God’s grace to the world. Our witness becomes how we try to “earn” favor with God–something the Gospel teaches us simply cannot be done. Second, we quickly learn to either live in a state of denial or we realize how bad we are at good. Only through God’s Spirit can bring us to good works. Third, we burn out of wanting to try. Bringing our own efforts to the table equals exhaustion. We can’t, on our own, do anything right. When we try, we wear down. The more we wear down, the more bitter and frustrated we become. But most important of all, we lose out of the Message of the Gospel: Jesus Christ paid it all. We act as though there’s some kind of catch, as if there’s fine print at the bottom of the contract. We forget that God, and God alone, made this agreement with us. We didn’t help God tear the curtain in the temple from top to bottom. God, and God alone, tore this curtain because the perfect sacrifice of Christ was complete. For all who would believe. These things I think I must have . . They keep my heart from knowing you more and more. We lived out in the country when I was an older kid, and we had a field that was ideal for flying kites. I had a beautiful kite that hung in my bedroom for display. But because this was a special occasion, I took it outside to fly. The weather anchor could have announced, It’s a kite flying day because the wind was just right. 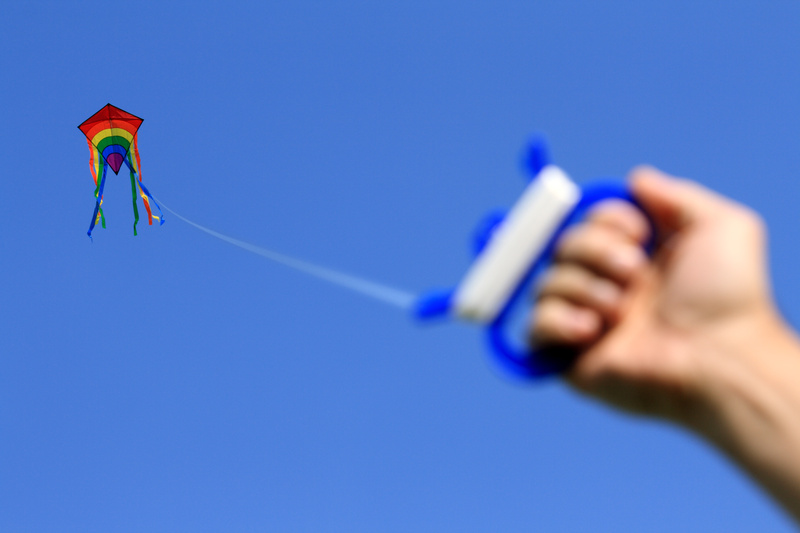 I let out more and more string as the wind carried my kite higher and higher. So I unrolled the rest of the string. I think he started to stop me, but it was too late. The string flew up in the air, far too high to grab, and the kite flew away. I had no idea the string wasn’t attached. My dad took me out in the car to look for it, but we never found it. My kite was gone. It seems like there are a lot of things in life that, at one time or another, we thought were attached, that we find out can unravel at any moment. Relationships. Finances. Health. Careers. Safety. But there is something in this world that we are guaranteed won’t unravel and disappear from our grasp. And that is the love of Christ we receive when we believe in Him.